Efficient and reliable, this Casio men's watch features daily alarm and hourly time signal. Its round resin bezel and spherical glass protects this Casio men's watch from wear and tear. You can time your cardio and walk durations using its stopwatch and test your physical strength. Being made of resin, its blue band remains unaffected by moisture or sweat and hugs around your wrist comfortably for a long time. This water-resistant Casio watch for men ensures complete safety from accidental water spills and can endure in up to 100 m deep water. 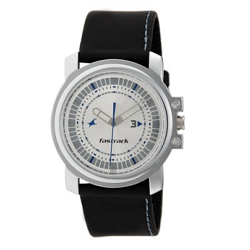 Powered by Quartz movement, this men's analog digital watch runs tirelessly for years on battery.